Transportation • Summit County said the flights threatened public, environment. Courtesy | Uber A helicopter that will be used for UberCHOPPER service between Salt Lake City International Airport and Park City for the first four days of the Sundance Film Festival. 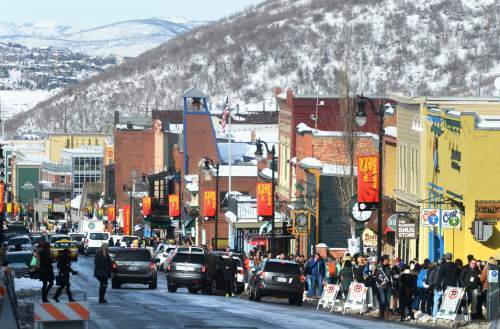 Steve Griffin | The Salt Lake Tribune Sundance Film Festival patrons start to fill Main Street during the first weekend of the Sundance Film Festival in Park City on Friday, Jan. 22, 2016. Courtesy | Uber View from the helicopter that will be used for UberCHOPPER service between Salt Lake City International Airport and Park City for the first four days of the Sundance Film Festival. 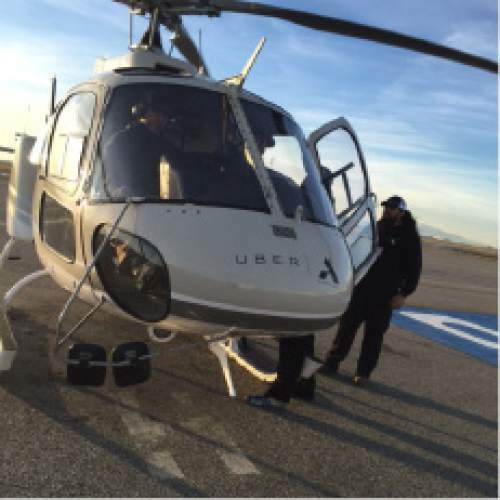 Uber on Saturday halted its temporary UberCHOPPER service that ferried passengers from Salt Lake City International Airport to Park City, a day after the Summit County sheriff ordered the aircraft grounded. But those looking for street transportation can still hail a ride from the service. "We may no longer be in the air, but Uber operations continue to soar on the ground where we remain committed to offering riders a world-class experience at the Sundance Film Festival, and to getting festival-goers from point A to point B reliably and safely," said Taylor Patterson, Uber spokeswoman. "As an official sponsor of the festival, we are thrilled to partner with the Sundance Institute to help facilitate a seamless transportation option for Park City visitors and residents." Summit County officials had been unhappy with Uber and Blade helicopter services using two makeshift landing zones on private fields in a semiresidential area in unincorporated Snyderville. They said the operations violated county codes and created a safety hazard. Sheriff Justin Martinez had warned that pilots could be arrested and the helicopters impounded. And the county said in a news release Saturday that it is citing the owners of the two properties where the choppers were landing. Summit County Council Chairman Roger Armstrong noted that the services were forecasting more than 100 flights a day. 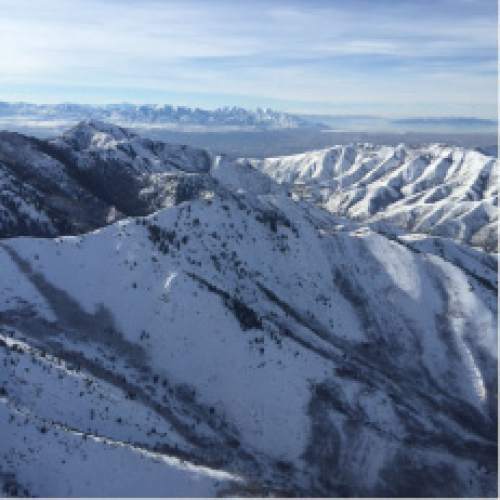 "Park City is a very convenient 35-minute drive from the Salt Lake City airport and the use of the helicopter service takes longer on a net basis, brings substantially more air pollution into Summit County than traditional transportation, creates a substantial noise nuisance in a quiet rural residential neighborhood and disrupts a large elk herd and other wildlife in the area," Armstrong said. A hearing in 3rd District Court on Friday had failed to resolve the dispute. Judge Kara Pettit said the county&apos;s attorneys didn&apos;t have enough evidence that the Uber helicopters violated zoning rules and said she would hear more about the issue on Monday, according to The Associated Press. In addition, a hearing is scheduled for 10:30 a.m. Monday regarding the separate cease-and-desist order involving Blade. Blade officials could not be reached for comment on Saturday. According to Uber figures, the service had facilitated more than 15,000 trips on the ground and in the air in 48 hours as of Saturday afternoon, about 1,000 of them airport trips, and the average wait time for riders in Park City was about five minutes. A breakout of the number of UberCHOPPER flights, at a fare of $200 per seat for a one-way day trip and $300 at night, was not available.